The official English text for all the general conference talks is now available at conference.lds.org and will soon be in the Gospel Library app. Text in many languages will be posted over the next several days. At conference.lds.org, click the title of the talk to read the text or watch the video. You may then click the icons at the top of any talk page for additional actions (listen, download, print, share, and watch). Learn about short URLs to quickly access LDS general conference. 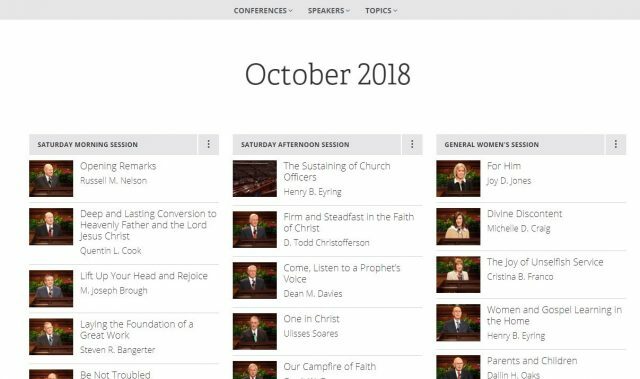 Learn how to link to specific paragraphs of general conference talks.